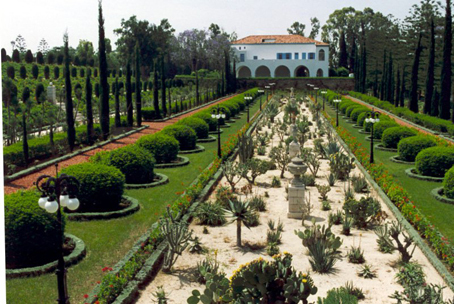 The lush Bahá’í Gardens in Haifa and Akko are ‘sacred, special places for all of humanity. More than half a million visitors every year take advantage of free guided tours amid the serene tranquility and colorful groomed geometry of the Bahá’í Gardens (http://www.ganbahai.org.il/en/) in the northern Israeli cities of Haifa and Akko (Acre). These two gardens, located about 10 miles apart, are designated UNESCO World Heritage sites as holy places and pilgrimage destinations for followers of the Bahá’í Faith. This monotheistic religion was founded in the 19th century based on the teachings of the Báb (Gate), born Siyyid ‘Ali-Muhammad in Iran and known as the Prophet-Herald. 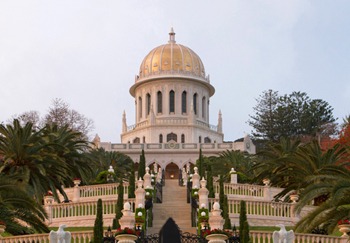 The prophet’s tomb, the golden-domed Shrine of the Báb dating back to 1909, is the focal point of the Haifa gardens. The recently restored shrine, which was unveiled this spring, stands on the central terrace of 19 landscaped terraces extending all the way up the northern slope of Mount Carmel overlooking Haifa Bay. 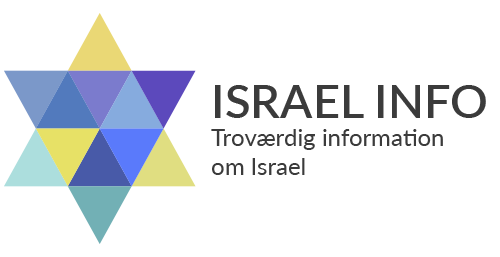 In guided tours given in Hebrew, English and Russian (available daily except Wednesdays), visitors learn that there are approximately 1,700 steps from bottom to top. The Haifa garden has about 450 plant species, most of them native to the region. They were chosen for their color, height, hardiness and ability to survive with a minimum of water. The smaller Bahá’í Gardens in Akko, a bit further north, form a wide circle framed with cypress trees and plantings surrounding the mansion where Bahá’u’lláh, known as the Prophet-Founder of the Bahá’í Faith, resided during his final years and where he is buried. “It’s a bit hidden from the main road, and recently we purchased land between the gardens and the main road to expand the gardens so they will be a lot more visible to passersby,” says Jalal Hatami, deputy secretary general of the Bahá’í International Community. Plants in the Bahá’í Gardens were chosen for their color and hardiness. Photo courtesy of Baha’i World Centre. All rights reserved. Intended as respectful settings for the shrines, the two gardens are tended by 90 local workers from a variety of ethnic and religious communities, as well as a rotating cadre of Bahá’í volunteers from about a dozen countries. In 2010 alone, some 760,000 tourists visited Haifa’s Bahá’í Gardens, which stretch one kilometer (a bit more than half a mile) up the northern slope of Mount Carmel, and 400 meters (1,312 feet) across at the widest point. Of those, 7,500 were Bahá’í pilgrims who came to pray at the shrines. Within the next couple of years, additional Bahá’í gardens will open to the public. Ridvan Gardens, near Akko, was a favorite spot for Bahá’u’lláh, making it special to the faithful. Once upon a time, 13 flour mills operated at Ridvan, relates Hatami. “The Na’aman River was split to power the mills, and this created a beautiful island where followers planted a Persian garden.” Now the garden and the mills are being restored in collaboration with the Israel Antiquities Authority (www.antiquities.org.il), says Hatami. The other restored garden to open soon is Mazraeh Village, an estate Bahá’u’lláh once lived on. “The aqueduct crosses this beautiful mansion and orchards surrounding it,” says Hatami. On April 12, 2011, a grand ceremony was held at the Haifa Bahá’í Gardens to unveil the Shrine of the Báb’s painstakingly restored gold dome, now covered in 11,790 glazed Portuguese porcelain tiles in more than 120 different sizes and shapes. Added to the original stone shrine in 1954, the dome was in need of cosmetic and structural work. At the same time, the entire building was retrofitted to reinforce it against earthquakes. Research and design took more than three years prior to the start of the work, but the $6 million project was completed in two and a half years — ahead of schedule and under budget – with the assistance of volunteers from Mongolia, China, Ecuador, Kenya, Germany, Canada, South Africa, Vanuatu, India, the United States and New Zealand.